Welcome to Adam’s Pet Portraits. 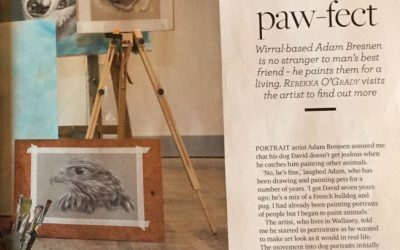 I am a UK based animal portrait artist who specialises in creating beautiful hand crafted drawings and paintings of pets from photographs. Pet portraits are available in a wide range of sizes and in different media as I aim to cater for all budgets and requirements. Please browse the site to see my latest work, get pet photography tips and find out how to commission a portrait of your beloved pet. You can get a quote and order online using the online portrait price calculator. What pets do you do portraits of? 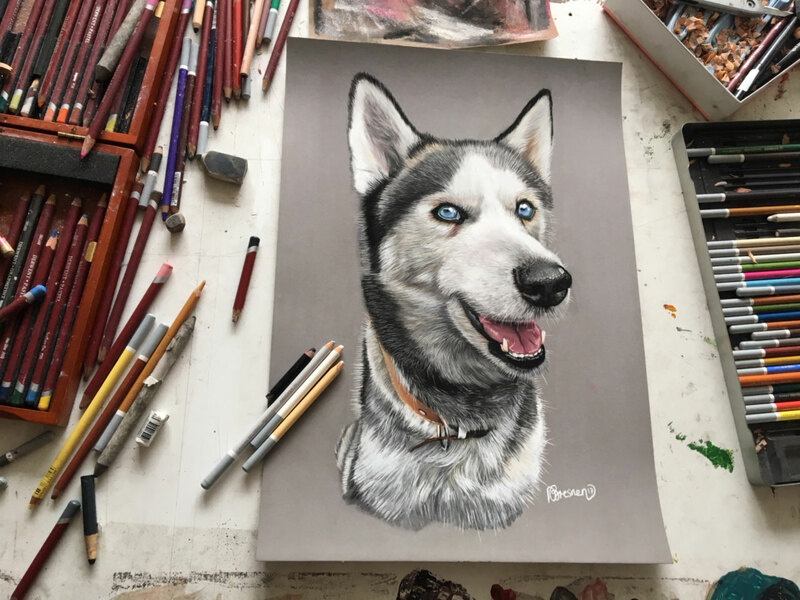 I am mostly asked to do dog portraits but I love drawing and painting all animals and would be happy to do a portrait of any pet. It is also possible to have more than one pet in the same piece of artwork. Can I choose what media you use? 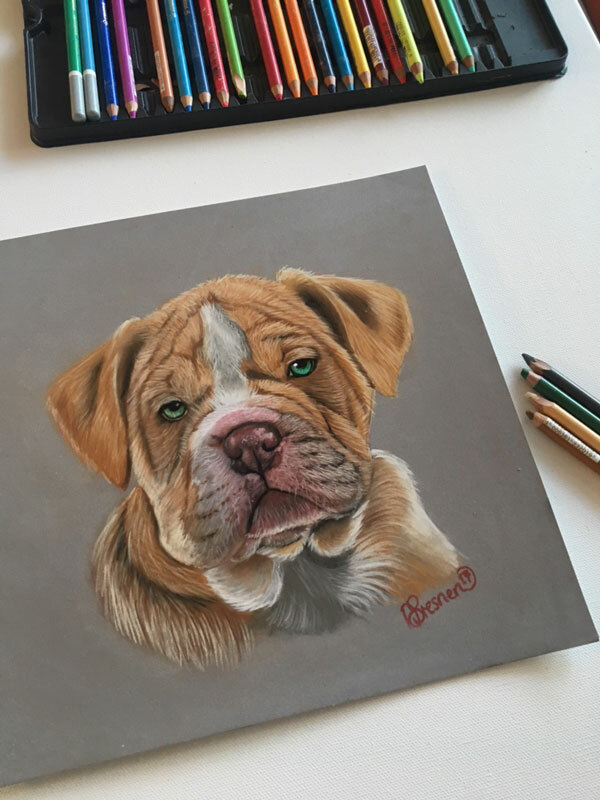 Of course, there is a choice of having your pet portrait as a drawing in pencil or pastel, or as a painting in acrylic or oil paint. 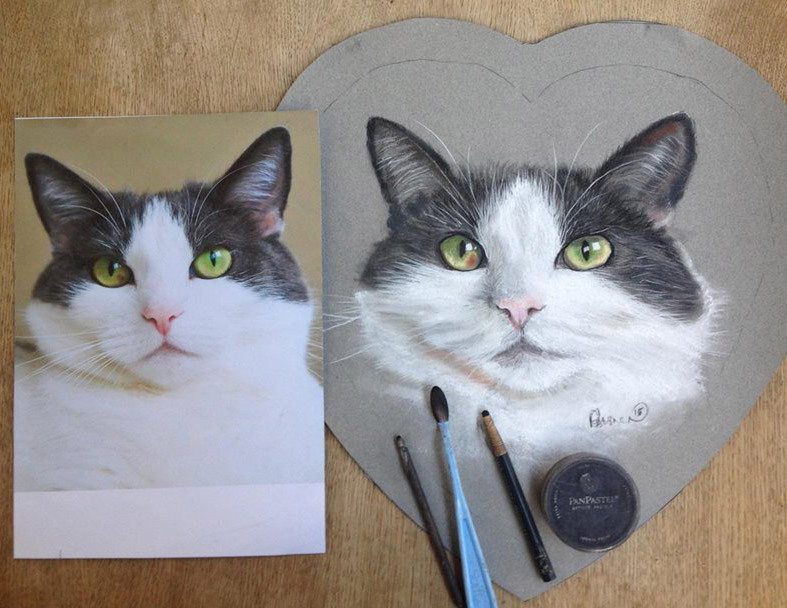 Pastel pet portraits are a very popular choice because they a little less expensive than the painted options but still show your pet in wonderful, vibrant colour. For more information about media options, please see the size & media guide. 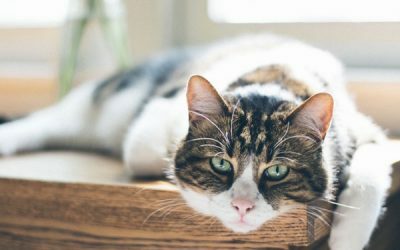 How much will a portrait of my pet cost? 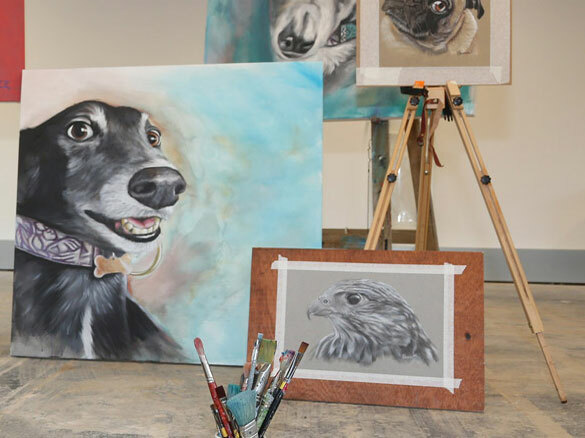 The price of your pet portrait will depend on your choice of size, media and the number of animals you would like to include in the artwork. Prices start at £80 for small pastel portraits and go up to £1900 for epic oil paintings on huge 1m x 1m stretched linen canvas. You can use the online price calculator to get a quote based on your specific portrait requirements. If you are happy with the quote there is the option to order, or you can just email it to yourself for future reference. You can order your portrait online. Simply fill out your requirements on the online ordering form, upload your photograph and once the deposit is paid I’ll get to work. 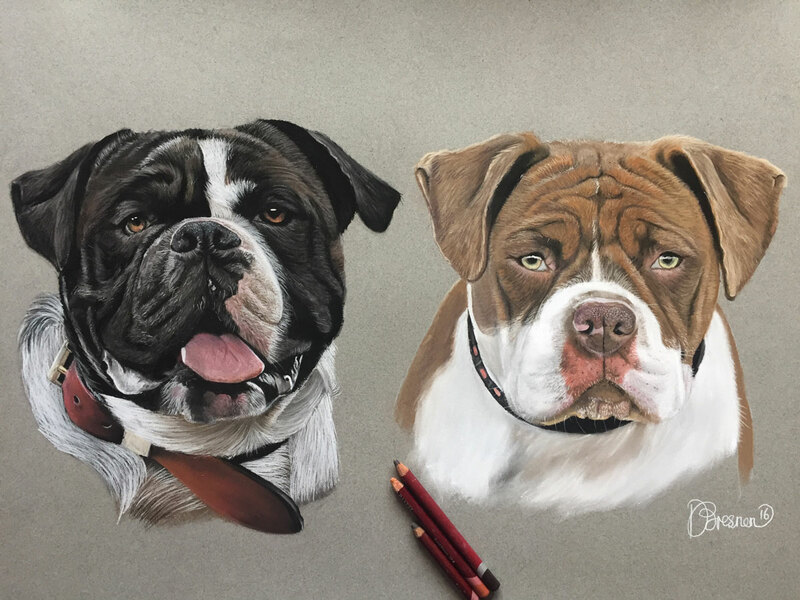 Pencil, pastel and acrylic portraits are normally delivered within 3-4 weeks while oil paintings can take up to three months. If you have any special deadline requirements please include them on the order form and I’ll do my best to meet them.